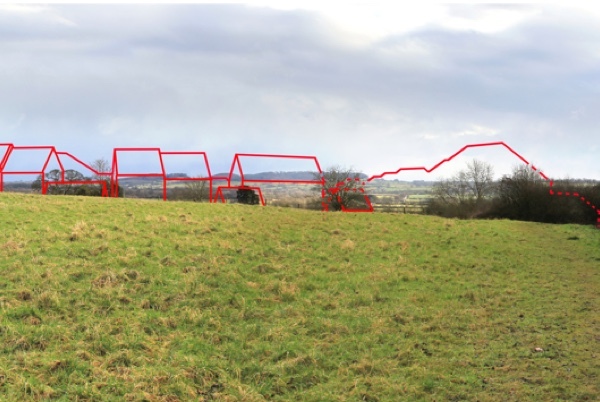 Simon acted as expert witness for the Council regarding the effect of a housing proposal on a greenfield site on landscape character and on sensitive viewpoints adjacent to the village. The proposal had been recommended for approval by the planning officers but council members had refused permission. The landscape sensitivity and capacity study carried out previously by the practice was considered sound by the inspector. The argument was won on the basis of the location of the site on a steep slope overlooking a wide vale adjacent to a long distance footpath. The appeal was dismissed.